As well as recognising the best new architecture in Newcastle, the awards are also an important opportunity to celebrate the work of Newcastle and regional members’ pursuits of design excellence, and their collaborations with architects from across NSW. Open to projects located in the Newcastle region, winners of the Newcastle Architecture Awards have the opportunity to progress to be considered at state level via the NSW Architecture Awards. Winners of the 2019 Newcastle Architecture Awards have now been announced. Projects in all countries besides Australia must be entered into the International Chapter Awards. Please note: the Awards Terms and Conditions of Entry have changed. Please read through the terms and conditions before submitting an entry. Download the Terms & Conditions of Entry. National Council has approved updates to the Awards Terms and Conditions of Entry ( item 5) regarding the use of promotional materials, including images, for the purpose of promoting architecture and the Australian architectural profession. Please ensure you have appropriate copyright agreements and permissions in place prior to submitting. The Jury for the Newcastle Architecture Awards will be selected keeping in consideration the results of an Expression of Interest. A single jury reviews all online entries across all categories after the closing date. All entered projects are then visited by the jury. Entrants will be contacted individually regarding site visit arrangements. After site visits are completed the jury recommends projects for awards. Award winners are announced at the Newcastle Architecture Awards Presentation Night in March. To ensure an equitable basis upon which entries can be judged, jury decisions are guided by a uniform set of criteria called the ‘Core Criteria’. Payments are to be made via the online entry system. Winners of Newcastle Awards will be required to pay an additional State entry fee to be considered for the NSW State Awards. Progression to State level is encouraged but optional. The amount paid will be the difference between the two entry fees. Before starting an entry, members are strongly advised to read through the 2019 National Architecture Awards Entry Handbook, which includes all relevant requirements for both state and national awards (including Newcastle). It is important that you familiarise yourself with the National Awards Policy and Entry Handbook before starting your submission. Online Entry: Awards submissions are made via an online entry system, and supplemented with additional entry materials. Entries are required to include a selection of digital images, drawings and plans which are also submitted via the online system. Online entries should be completed, paid and submitted before the closing date. A square format hero image (1080X1080 pixel, 72 dpi) for social media purposes (Instagram). Copyright and consent forms are now to be filled out and uploaded as part of your entry. Therefore, it is important that you have confirmed the project attribution at the beginning of the process and ensured all authors have given you their consent. 1. Contact details: The first time you use the online entry system, it will prompt you to register as a User. Please note that the address entered here will receive the automated emails from the system to do with this entry and the online entry system (eg. notifications of entry submitted, payment pending, etc.). The contact for the project entry (whether an Institute Member or not) should register as the User, and also provide their details in the Contact Details section of the form. There will be another opportunity within the form to provide the Member’s email address for approval of the submission. If you have registered before in previous awards programs, you will not need to re-register. Please use your previous log in details. 2. Email addresses: Please refrain from providing generic email addresses for your entry (for example: admin@ or enquiries@, etc.). Communications often go missing if these inboxes are not well-monitored, so it is preferred if you provide a direct email address. 3. Photography: If you haven’t already, organise a photographer to take photos of your project straight away in order to avoid missing the submission deadline in your Chapter (check closing dates here). 4. Project attribution: Confirm the name of your project and practice attribution with all contributing authors before you begin your submission. 5. Deadlines: We are not accepting any late submissions for the 2019 Awards program, so familiarise yourself with all Chapter submission deadlines early and get started on your submission. 6. Hero image: Choose your hero image, and upload this first to the entry system. *NB: Your hero image should be landscape orientation, and will be used in all promotional material for your project. 7. Browser: Do not use Internet Explorer to complete your submission, as it is no longer supported by Microsoft. Other browsers we recommend include Google Chrome, Safari, and Firefox. Additional compulsory entry materials: In addition to their online entry, entrants must produce a display board to support their entry. The art work for the display board should be provided to Big Image by the 2 of February 2018. This A2 exhibition board will be used for consideration by the jury, and may also go on public display at the Newcastle Awards event. The A2 Boards must include one single portrait image only, either a high-resolution hero or detail photograph with no border to be ordered via Big Image (NB. the Institute has negotiated a competitive print rate for members which includes also delivery). Newcastle Architecture Medallion – Best overall contribution to Newcastle architecture. No fees apply for this award and all entries will be considered by the jury. For all enquiries relating to the Newcastle Architecture Awards please contact the NSW Awards & Prizes Officer or call 02 9246 4013. The 2017 Newcastle Architecture Awards were announced on Thursday 9 March at a presentation evening at the Merewether Surfhouse, with twenty projects recognised across eleven categories. 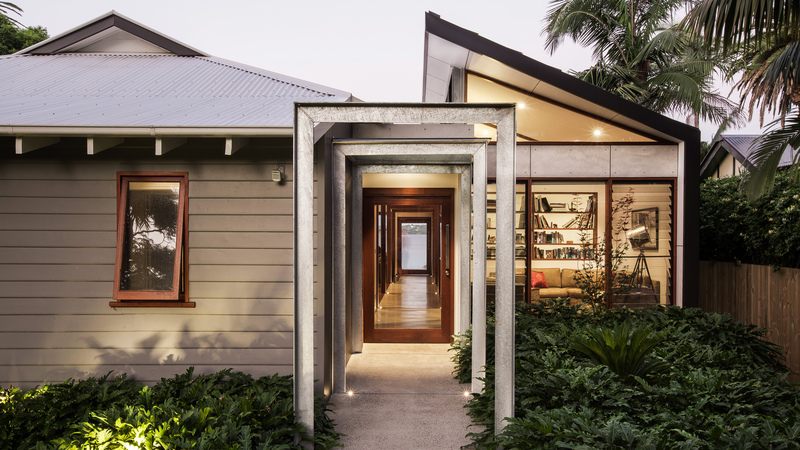 The complex alteration of a modest four-unit, beachside structure by Genton Architecture took top honours; the ‘enigmatic and innovative’ 43 Ocean Street North Avoca was recognised with both the Award for Excellence and Award for Residential Architecture – Multiple Housing. Award winners are now eligible to progress to the NSW state awards. 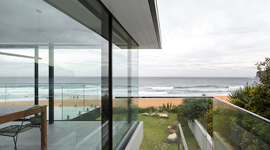 The 2016 Newcastle Architecture Awards were announced at a special event at Merewether Surfhouse on Thursday 17 March 2016. Sixteen projects from across the region received honours on the night, with The Axis House by Jonathan Dawes in conjunction with EJE Architecture the overall winner, taking home the Award for Excellence. A full list of winning projects from the 2016 Newcastle Architecture Awards is available here, and a gallery of award winning projects here.